Do what most people only dream of? 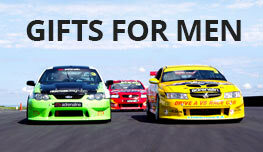 Take the challenge of driving 6 Laps on the demanding Mallala Motor Sport Park Circuit with no speed limits. Be prepared to take it to the max! 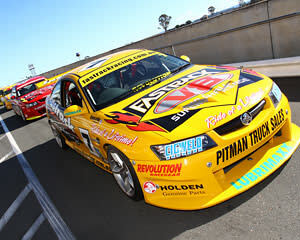 Feel the excitement and g-force of V8 performance racing with Australia’s premier V8 experience team for 6 laps of Mallala Motor Sport Park, an exciting 2.5km circuit and the ultimate driver’s track. It is demanding and challenging, featuring a variety of bends, curves, and straights, which will get the heart racing and you push it to the limit with no moment to rest or relax. 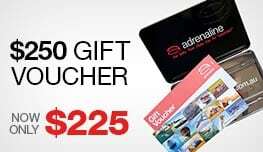 For spectators, the extensive open air grand stands available at Mallala are the perfect place to watch your loved one tackle the exciting turns Mallala has to offer. An enclosed reception area will also be available on the day should you wish to stay indoors. Complimentary tea and coffee will be available at reception on the day and a canteen will be open on all race days for the purchase of light meals. Excellent day but the only small criticism is the waiting period. Booked for 10am didn't get into the car until 12:20! Long day for spectators. The actual overall driving experience was EXCELLENT!!! and the co-driver made you feel very safe and allowed you to concentrate fully on the driving. I had a great time, something I always wanted to experience. It was beyond what I expected. My partner sam had the best time doing her v8 6 lap race. However her girlfriend purchased her a $150 gift voucher for her to use on the day to buy some memorabilia. As fast track informed us while we were in line we were not able to use the voucher as it was through adrenaline not fast track. They were extremely rude in telling us this and we were made to feel extremely uncomfortable when we had to come up with the $175 ourselves to purchase these things. Is there anyway this can be rectified. Thankyou. I had ten laps and Daniel was great, I told him he was a very brave man. He really was fun to be with and made my adventure just excellent. Was fantastic! Really enjoyed it- even better than I thought it would be ?? The Guys at Fast Track Racing are very good at what they do and were easy to deal with on the day. The V8 Supercar drive was awesome, my wife and I had a great day with the team from Fast Track Racing. The team have really got this experience down to a fine art. The drivers were knowledgeable, cars well maintained and the day's events went without a hitch. A fantastic gift.